I find myself in the interesting position of having two blogs – count ’em: two! While not being exactly sure what to do with either. What I find most interesting about all this is the more I write, the more I want or need to write: which is interesting for someone who never kept a “journal” outside the columns I’ve written which chronicle the past twenty-five years of both my personal and professional lives. Now, I find myself agonizing over where to place what I’ve written – whether it ‘belongs’ on the SchneidersAuto.Net site, or here on the CaptainCarFix.blogspot.com site. I know… Ridiculous! Especially, when no one is following either! But, “agonize” I will, nevertheless. 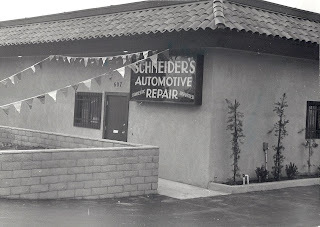 I will probably consolidate both into one and then proceed from there… In the meantime, here is something I’ve just posted on the Schneider’s site along with some interesting images of a time gone by. 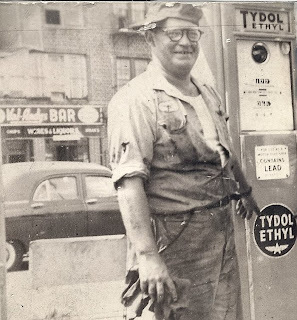 They have a lot to do with me, my Dad, our shop and another era… What they really have to do with are roots: roots that go deep and way back: back to the early 50’s and earlier… to four cent a gallon gasoline in a Jewish/Italian neighborhood in Bensonhurst. I don’t fancy myself one of those individuals who likes to drown themselves in things nostalgic. It seems like there are far too many things to occupy one’s self with in the present to want to dwell in the past. However, having said that, there are times when it does seem appropriate to take a few minutes to look back, if for no other reason than to see how far you’ve come. I’m not sure you can, or even should schedule moments like these; it seems to me they would certainly lose a little something if you did. But, every once in awhile something happens that triggers whatever portion of the brain given over to warehousing important memories like these and these multi-dimensional images explode like the cloth-covered, spring loaded, snakes in a circus act. 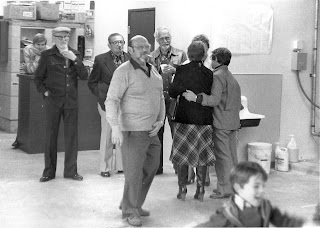 That’s what happened to me late last week while I was going through one of the cabinets at the shop trying to ‘make room,’ a very weak euphemism for cleaning things up and throwing things out, and came across a folder filled with a number of black & white photos of our Grand Opening, thirty years ago: February 1, 1980. Why? Because, there is a lot of history packed into those thirty years: social, cultural, political and personal history. There are values deeply embedded in our company that reflect who my father was and what was important to him: the way he lived his life both personally and professionally. I’d like to share some of these with you over the next few weeks and months as I reflect on where we are and where we are going. 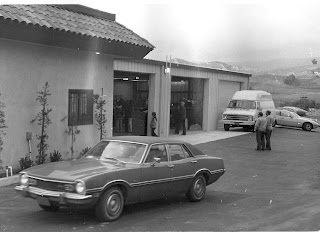 I think they are important not only from their ‘historical perspective,’ with regard to our company… because they tell the story of how got here. I think they are important culturally, so we don’t lose our way as we close the book on the first decade of the 21st Century. Mitch, thanks so much for your blogs. They help me out immensely. Maybe sometime in the future you could blog about honda auto repair? That would help out a lot! I’ll keep reading, in any case!